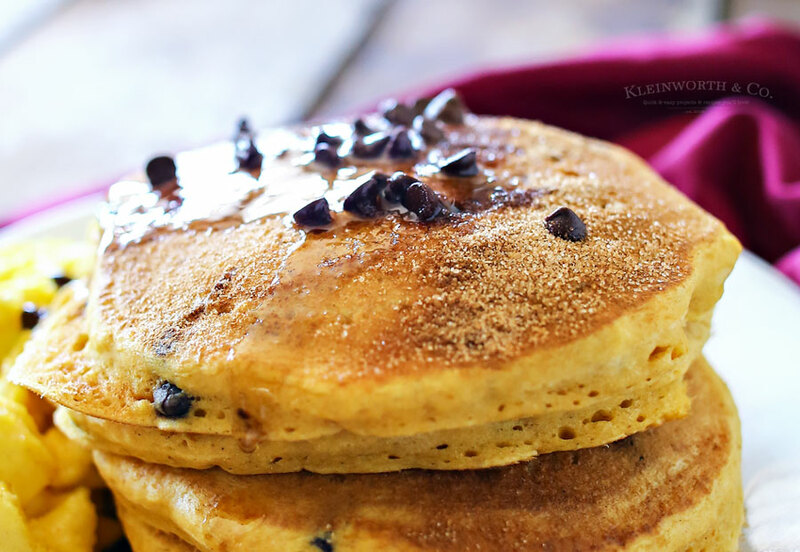 Cinnamon Pumpkin Pancakes with added mini chocolate chips are the perfect breakfast recipe. 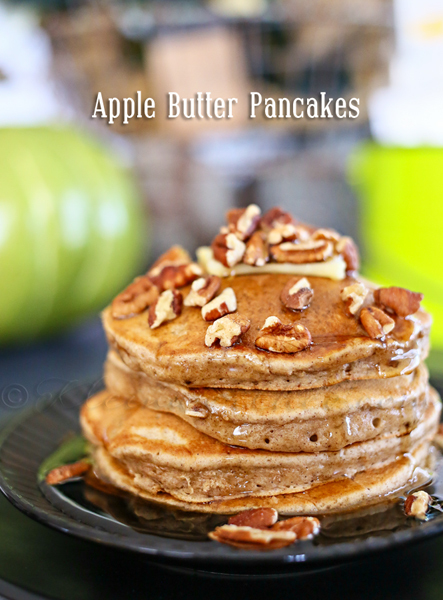 Simple to make & loaded with all your favorite flavors of fall. I love this season. 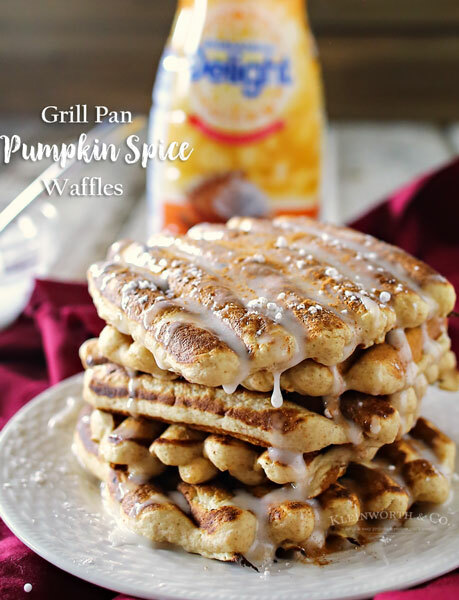 The weather is chilly & we start our weekends with a cozy fire & a fall focused breakfast. That usually means something with either pumpkin, cinnamon or both. Those are two favorite flavors in this house & so those are the ingredients we use quite a bit this time of year. 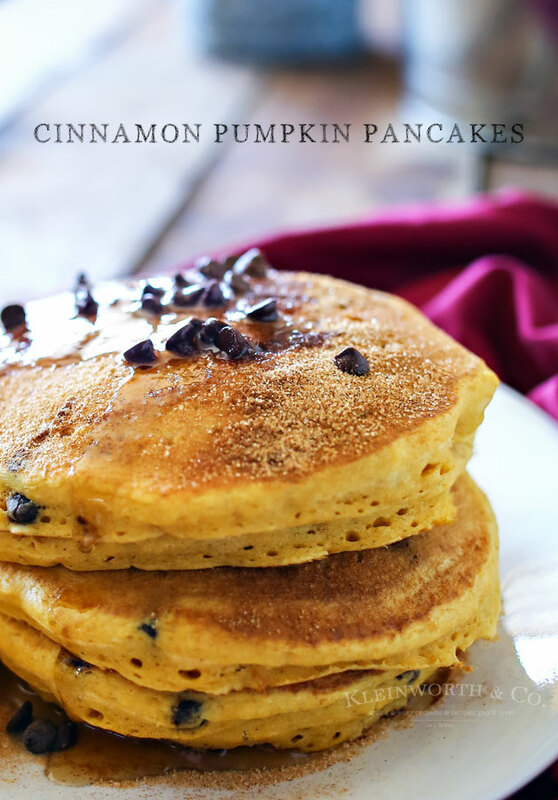 One of our favorites, cinnamon pumpkin pancakes. 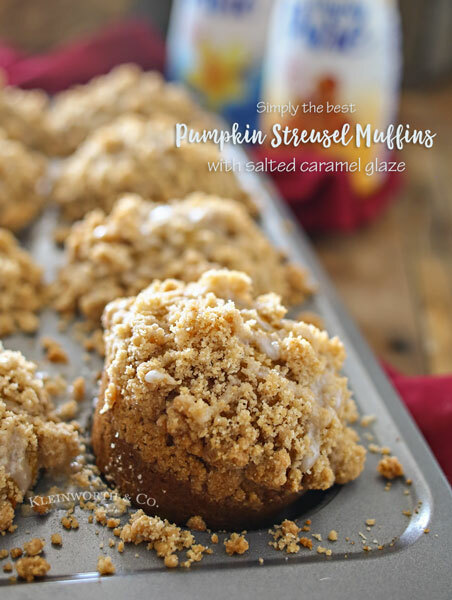 They are so incredibly easy to make & absolutely delicious too. They just make me happy. We like to cook our pancakes on an indoor griddle because we are feeding 3 teens. 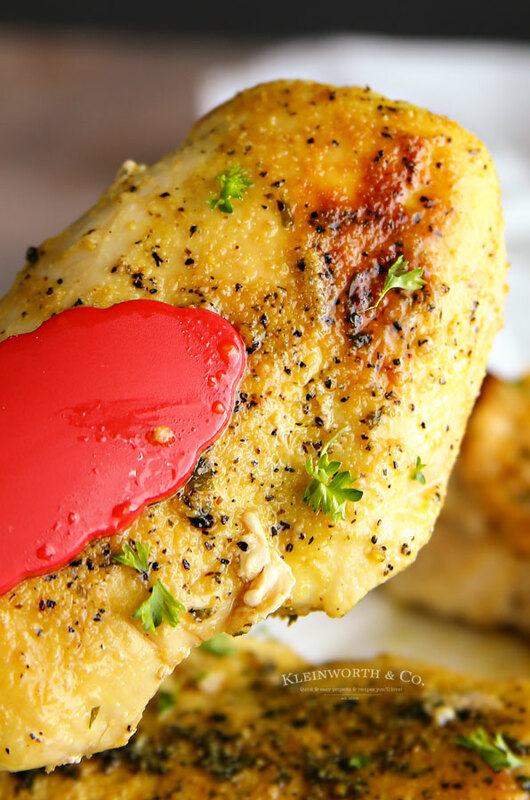 It’s not uncommon to double or triple this recipe in order to have enough to feed the whole family. By using the griddle it also keeps the stove open for things like making hashbrowns and eggs. I also use this super awesome oversized spatula. 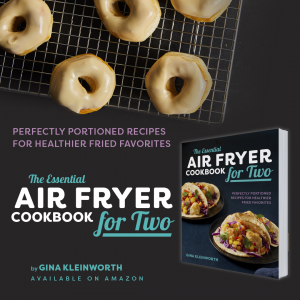 It’s the perfect size for flipping large pancakes with ease. It really makes breakfast creation easy & keeps the morning going well. 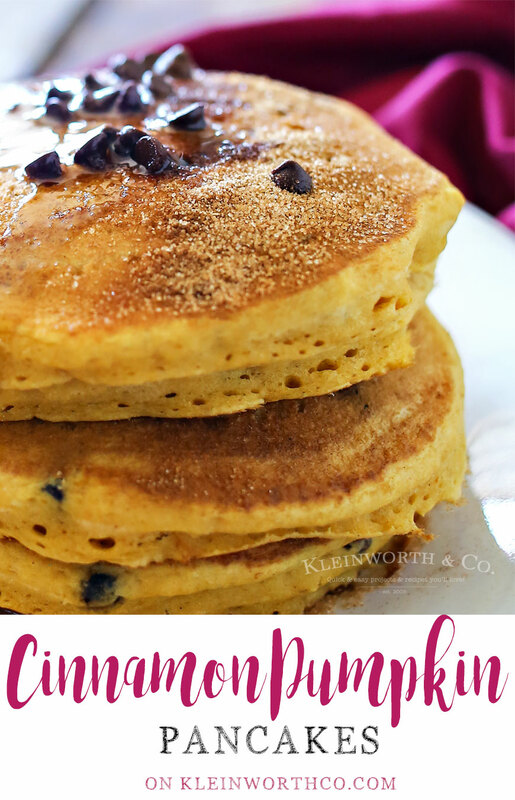 Cinnamon Pumpkin Pancakes with added mini chocolate chips are the perfect breakfast recipe. Combine pancake mix & cinnamon in a large mixing bowl. Add milk, pumpkin, oil, eggs & vanilla. Beat until smooth. Don’t you want to start your weekend off with a stack of these??! I know I do! 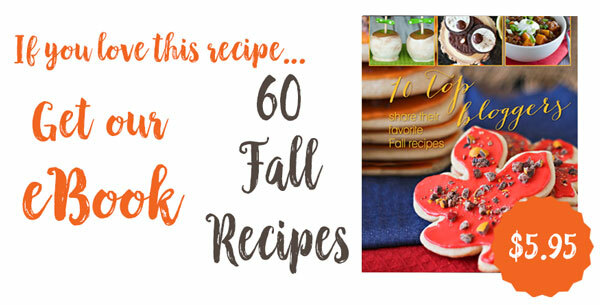 Looking for more fall breakfast ideas? 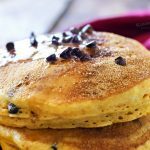 We would just love these awesome Pancakes for breakfast! Thanks so much for sharing with us at Full Plate Thursday and come back soon!